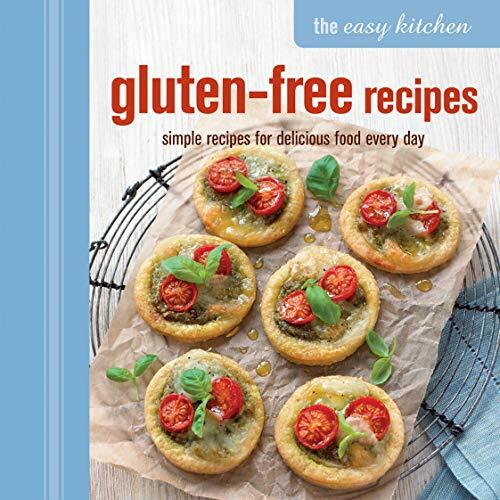 New in 'The Easy Kitchen' series, 'Gluten-free Recipes' offers gluten- and wheat-free alternatives to all of your favorite dishes, that can be enjoyed by everyone.<br /><br />Delicious gluten- and wheat-free recipes for meals that the whole family can enjoy together. Free-from food has never tasted so good! Choose from simple home-baked cookies, breads and muffins or easy weekday meals, including tarts, pies, pasta bakes and pizzas. Start the day with hearty Breakfast Muffins complete with bacon and egg topping or bake up a batch of handy snacks such as Tomato, Basil and Feta Muffins. Fill up the family on comforting foods such as Potato and Polenta Pizza, cheesy chilli Cornbread, Smoked Haddock Scotch Eggs or Pork Sausage Rolls. For weekday family meals, try Broccoli and Chorizo Tart, Vegetable and Lentil Moussaka or Quinoa Spaghetti with Chilli Crab &#x2013; whatever the occasion, you'll find a delicious and satisfying wheat-free recipe here. Going gluten-free has never been so easy or tasty!